Isn't he a big kid! 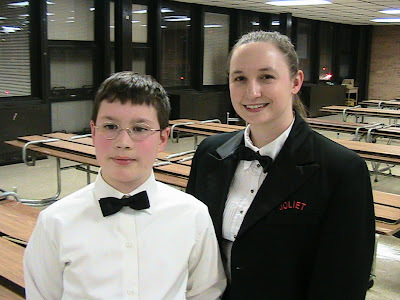 Here's Jacob and Ms. Snyder, the Orchestra director. 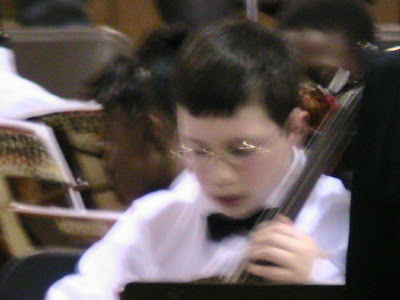 This was the day that I sent Brent to the concert, and kept the little ones home with me. He video taped the concert. It was so much more enjoyable than wrestling with 4 squirmy kids for 2 hours. Sorry Jacob. Everyone must make sacrifices! Love you! Look how much he's concentrating! What a good musician!